Now that PowerCLI is a module and in the PowerShell Gallery there have been a lot of releases and bug fixes, you would be forgiven for not having the latest version installed or even knowing what the latest version is. 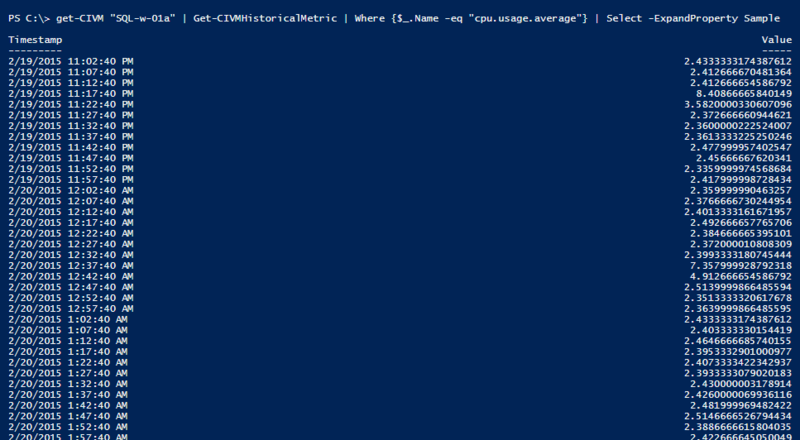 With this in mind and with the latest 6.5.3 version triggering this in my mind, I created a function that checks your installed PowerCLI version against the one thats in the PowerShell Gallery online and lets you know if there is a new version. Even better why not add it to your profile. It does take a couple of seconds to run so maybe you will want to run it on a certain day past a certain time in your profile so it doesn’t slow down every launch of PowerShell you have, here is an example of what I have in my profile where I check every Wednesday after 2PM. Write-Warning "Module $($module.name) was not found in the PSGallery and therefore not checked for an update"
Is your PowerShell Core up to date? I have been using PowerShell Core for a while now, its great not to have to spin up a windows VM every time I want to work with PowerShell on Mac! Let’s face it though, not everything is there at the moment, so every time there is an update I want to know. The Microsoft team are doing a great job of updating PowerShell Core and it seems like every time I go check there is a new version which fixes bug or introduces new cmdlets. This does however mean I need to constantly go check the releases page or keep an eye on twitter to see when new releases come out.. until now! Just use the following code and paste it into the file located at $profile and every time you launch PowerShell it will go check for you! Write-Output "New version of PowerShell available!" "PowerShell is currently up to date!" Do you use Cisco UCS? If you do then this will interest you. 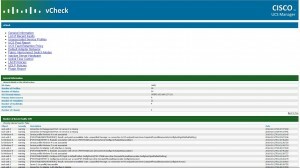 vCheck is basically a FREE HTML reporting framework that was written to originally check a VMware environment but as it uses PowerShell it is easily adjustable to check anything that is PowerShell enabled, like for instance…. UCS environments. 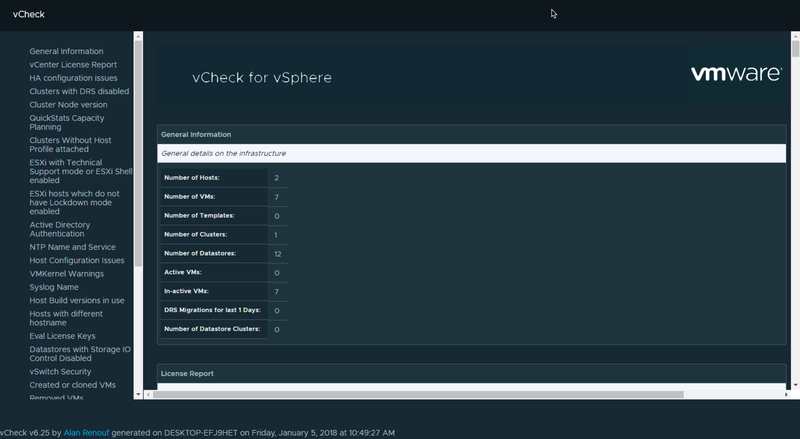 And now you can add Cisco UCS to the list, Joshua Barton has done a great job of using the framework to create a new vCheck edition that will enable UCS Admins to run a check on their systems and bring back any known issues that may be a problem. Don’t forget, this as with all the other vCheck editions is a community project so you can add your own checks very easily in the plugins folder, if you need help then check out this early video which was recorded of me showing how to easily do that. So what does it check currently? How do I download this and get involved? I had a conversation with a VMware customer the other day and they were asking if there was a way to automate the addition and removal of a vGPU to a VM dynamically on a requested or scheduled basis, VMGuru has a great post here on what exactly a vGPU is, I highly recommend reading it. 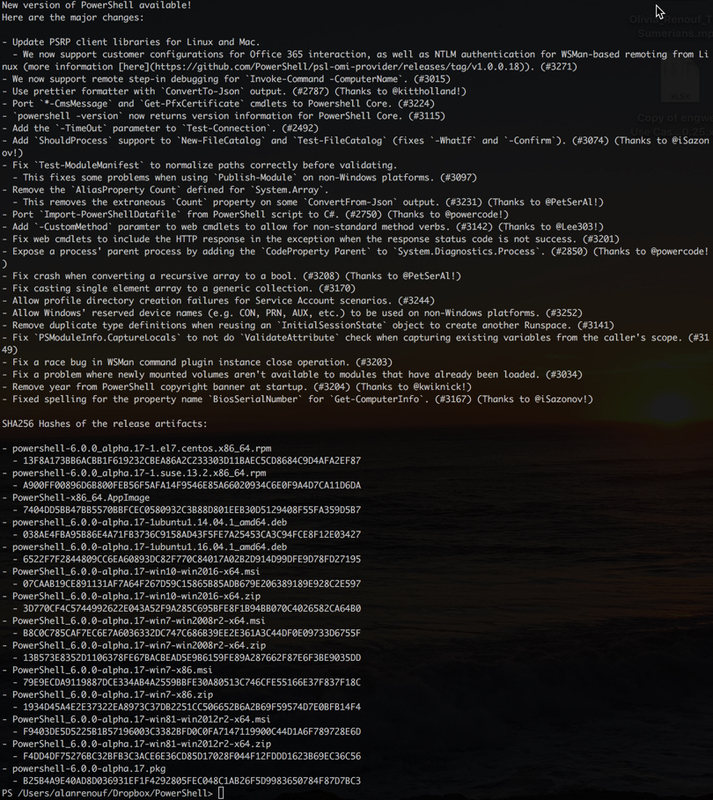 This week VMware released a new version of PowerCLI and this release is the most advanced version ever made. As the Product Manager for PowerCLI I am particularly proud of this release as we not only add core functionality to the vSphere cmdlets allowing access to report, manage and automate even more of the core infrastructure but yet again we introduce a number of new features allowing PowerCLI to reach even further into the SDDC and automate and integrate more products. I always like to ask people what they want to see from PowerCLI next and for a long time now people have been talking to me about vROPs and telling me their use cases of being able to use the rich dataset and analytics provided by vROPs to make decisions and take further action with PowerCLI, something as simple as monitoring a web server to know when it is under duress and provision many more based on these statics all the way to being able to take action on storage systems by monitoring the workload over time. 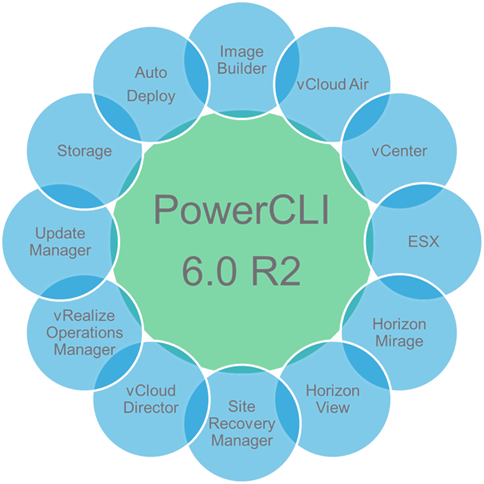 The use cases are endless and now achievable by the latest version of PowerCLI. More on this to come in a future post but lets just say I am excited to see what the awesome PowerCLI community does here. There is so much to talk about in this release, I wanted to give you an overview in this post and then dive deeper into some of the key features in the future. The community made it clear that we had to move to modules, and whilst we are still getting there, in this release we made even more module enhancements, both to the core distribution model of PowerCLI cmdlets and also converting more of our code base from snapins to modules. In this version the License snap-in has been converted to a PowerShell module. In the new release the PowerCLI Modules have also been moved to the System PSModulePath allowing all users of a machine to access them once installed. PowerCLI for Update Manager has always been available as a separate downloadable installer but it was hard to work with, you needed to work out which version of Update Manager you had installed on the server and install the exact version of PowerCLI cmdlets to work with it, this was obviously a pain when using multiple versions of vCenter or when trying to manage them from one machine. In this version PowerCLI for vSphere Update Manager is no longer a separate downloadable component or installer and is now included in the core PowerCLI installer, it is selected by default during the PowerCLI install wizard which allows for simpler and quicker deployment and management of VMware products through PowerCLI. 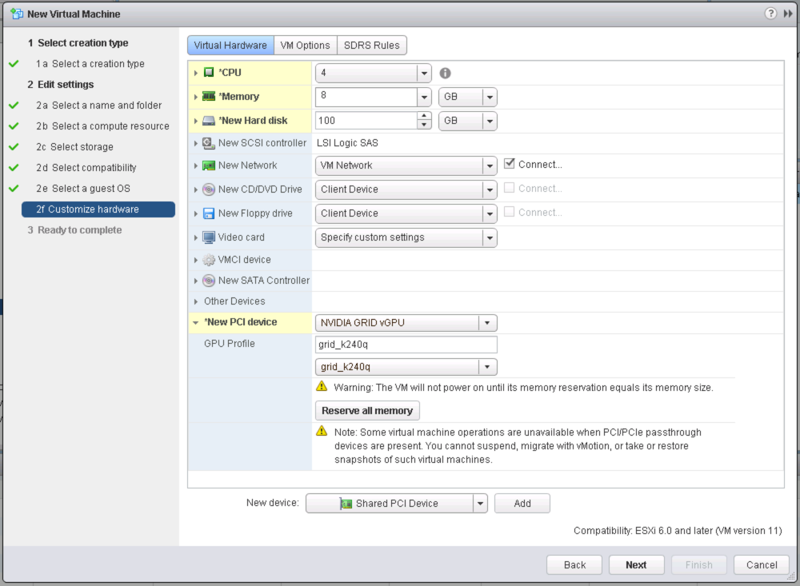 Enhancements have also been made to ensure a better backwards compatibility experience of this module and now supports versions of vSphere Update Manager all they back to 5.5. In the previous release we introduced PowerCLI for vCloud Air, allowing you to connect to your dedicated resources you have purchased and transfer your automation skillset into the cloud. In this release you can now also connect to and manage vCloud Air On-Demand (vCA) instances with the –VCA parameter added to the Connect-PIServer and the new Get-PIComputeInstance cmdlet to list all available compute instances. Existing cmdlets for managing vCloud Director and vCloud Air can be used to work with vCloud Air On-Demand where applicable. Additional to these enhancements a new cmdlet has been added to make it easier and enhance the ability to work with OrgVDC Networks called Get-OrgVdcNetwork. This feature was asked for in the PowerCLI Communities, this is just one of the places we monitor to work out what our future releases look like. New cmdlets have been added to work with ESXi host hardware, these cmdlets give the ability to interrogate your ESXi hosts and provide core system and hardware information. 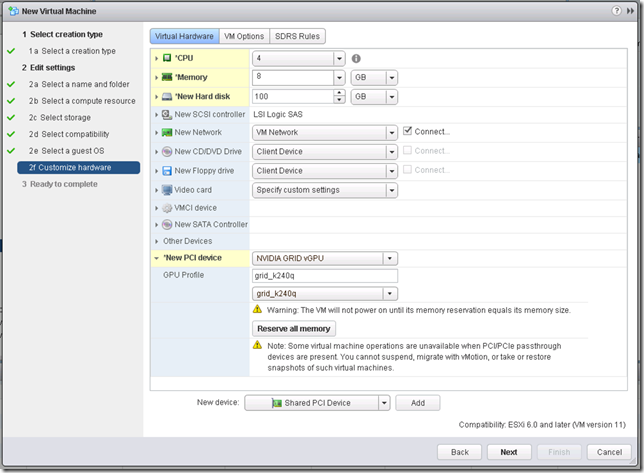 Over the last number of releases we keep making enhancements to the storage cmdlets, with VSAN, IO Filters and now a number of enhancements have been made to the storage module introducing new cmdlets for working with VMware vSphere® API for Storage Awareness (VASA), NFS 4.1 and updated vSphere API for IO Filtering (VAIO) cmdlets. In previous versions of PowerCLI when you started the interactive shell it would always start PowerCLI in the directory where we installed the components, as I watched people use PowerCLI I would see them run a CD\ to get back to the root of the C: or they would use it from the install directory and often their commands would line wrap making it slightly harder to read, a small but hugely beneficial change was made in this release, the PowerCLI starting directory has now been changed from the full install path of PowerCLI to the root of the installation drive. As usual updates have been made for PowerCLI to support the latest versions of the software it works with, in this case Site Recovery Manager (SRM) was updated to 6.1 and additional functionality has been added to discover SRM servers when they are deployed in a “shared recovery model” and support has been added for the vCloud Director 8.0 features which are provided by the backwards compatibility agreement of the VCD API. All this and many more bug fixes and speed enhancements. Same company different focus, let me know about your API wants! For over a year I have been focused on improving VMware Command Line Interfaces including PowerCLI, vCLI, vMA, ESXCLI & DCLI. I have tried to stay close to what the users of VMware want from a command line interface and have been delivering this as part of our current offerings and future offerings, I have been working with some of the best development teams in the industry (I may be biased) and have enjoyed talking to customers who use my products to do a variety of awesome things. Well, none of that changes yet! I mean I am still responsible for working with the command line tools so please keep the feedback coming. I have however recently taken over a new role and focus at VMware, one which I am highly excited to work on and make a real impact. Around a month ago I took over the responsibility for the vSphere API and the vCloud Suite API, SDKs and CLIs. There is a lot going on here and obviously that does not mean I am responsible for every feature which has an API! In this new role I will be helping drive VMware APIs forward, working with customers and partners to identify gaps in our API/SDK/CLIs, define new APIs/SDKs/CLIs and work with multiple products and services within VMware to drive a better experience for people who use VMware products for automation or customers/partners who develop against our APIs to provide integration or DevOps engineers who want to just automate the entire experience and provide a constant lifecycle for their business processes or products. Hopefully those who I have spoken to before, be it on twitter or via phone call or email or even over a beer know that I am an approachable guy, I may not always be able to talk about timeframes or where we are headed with our products but I promise you I will certainly take your feedback and prioritize it to produce the most valuable product to you. Please do feel free to let me know what you think about the VMware APIs/SDKs/CLIs, the good, the bad and the ugly! I would appreciate your quick thoughts on our APIs and what you would like to see going forward from us, feel free to use the comments on this post to pass them along or contact me via the other means mentioned. Onyx is a tool I have been using for years, it’s a tool that sat between the vSphere C# Client or Windows Client and the vCenter server and intercepted the SOAP calls, it would inspect these SOAP calls and convert them into PowerCLI code. With the recent move away from the C# Client there is an obvious reason why the original Onyx Fling would not work anymore, its not like you can put it in between the web client and the vCenter service is it ?! This tool was always a life saver for me as I’m not one to read API documentation, it was always a way to not only work out the code for me to alter and reuse but it was a great way for me to work out how VMware would do something, there is often multiple ways you can code something and if you can see what the C# client was doing to perform an action then that had to be a great place to start. So up until now it has always been for the C# client, well today all that changes, just released is “Onyx for the Web Client” and it is awesome! 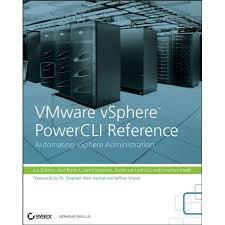 Firstly I want to thank the engineer who worked on it, Atanas Atanasov is a member of the PowerCLI team and was fantastic throughout the project taking feedback from myself and the internal testers at VMware (You know who you are and thanks!) and turning it around very fast to produce the end result which works fantastically. There are already some great blog posts out there on the official PowerCLI Blog, on Luc’s Site, Jonathans Site and on Roberts site which go into some detail so I thought I would do a quick video to show you how I like to use it. In the video below I show how I do not know how to automate an advanced setting of a VM, I show how easy it is to record the action of changing that setting, take the code that the fling produces and then use it to firstly change a single VM to a different setting and then how easy it is to turn this into a function that can be used on all VMs in the environment. This shows how we can create repeatable code that can be used (and shared) to achieve the task we need all with little knowledge of the API. Make sure you download and install the fling in your test environment from here. Recently I was working with vCloud air and PowerCLI and was asked if there was a way to retrieve the statics of a VM and export these to get a better idea of the utilization of that VM. 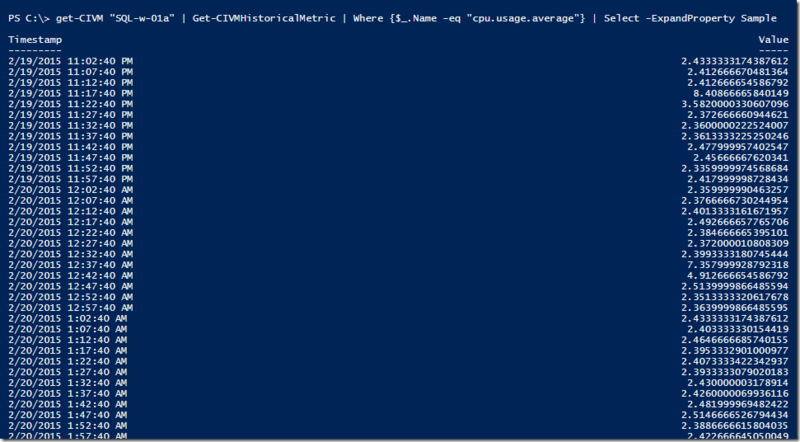 Working with vCloud Air and the API through the PowerCLI cmdlets I was able to use the GetMetricsCurrent() and GetMetricsHistoric() to retrieve both the current VM Metrics and also the historic metrics of a VM. The type of metrics and their values is described here. Current metrics are instantaneous values collected at the time the request is processed. 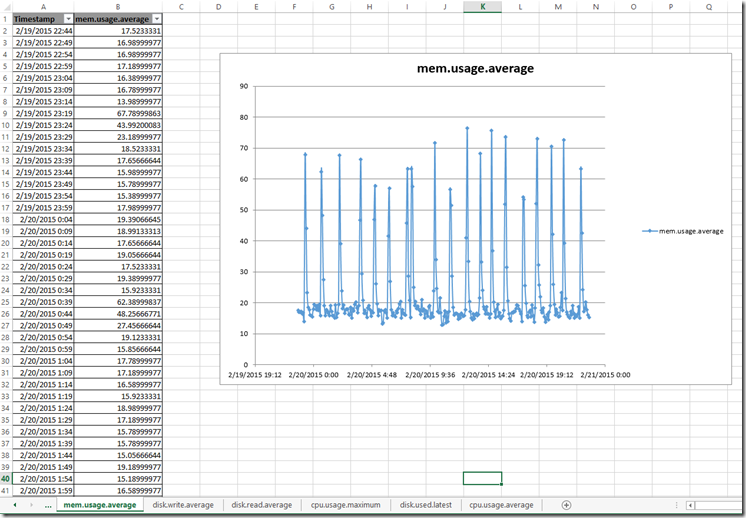 The GetMetricsCurrent() method retrieves a list of current metric values, one for each category. I put this into a handy function which can be found at the end of this post, with this function we can pass vCloud AIR VMs into it and retrieve the current metrics. Historic metrics are collected and stored for 14 days. 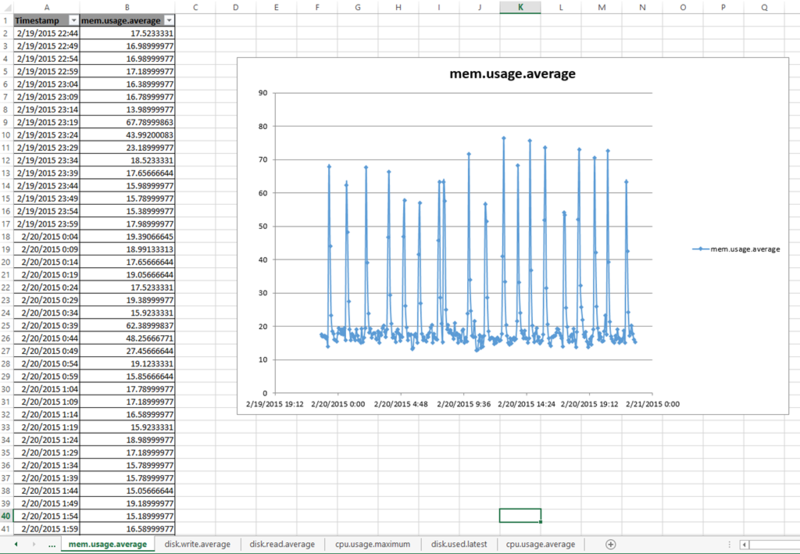 A call to the GetMetricsCurrent() method retrieves the past 24 hours of metric history. again I created a function that allows us to select a VM (or multiple) and get the historic data for this VM. You will see that this time the method returns a collection of results in the Sample entry, we can then expand this to return the results for the metric over the last 24 hours. Make sure you download Lucs Export-Xlsx function from here, and below are the functions I used to retrieve this information from vCloud Air. Write-Host "$VM must be Powered On to retrieve metrics"
Last week I was asked if there was an easy way to get an alert once a VM had over a certain number of snapshots, this is a frequent request as it would seam some backup products like to keep snapshoting VMs and note removing them.